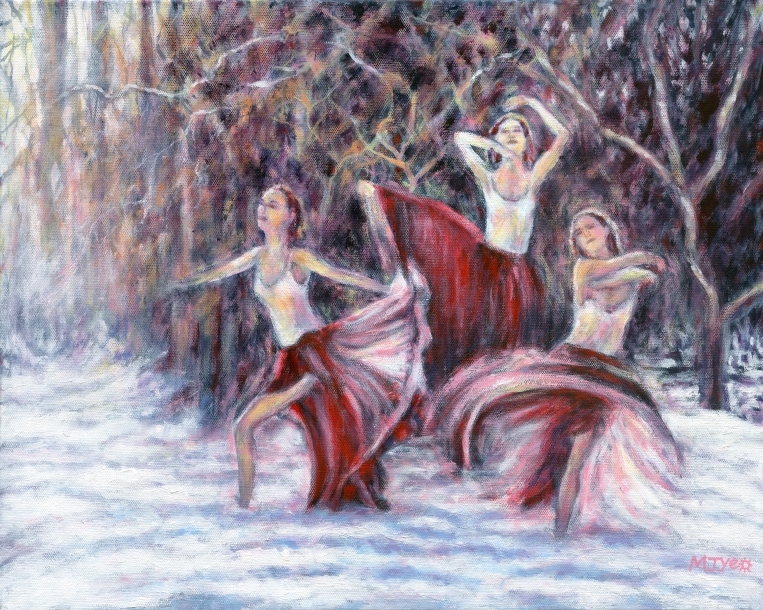 This painting is based on scenes from dancer, Laura Careless performing in Neruda Songs. Every scene looks like a painting, and because I couldn't decide on a favourite moment, I put three into one painting. You wouldn't expect to see someone dancing in the snow, so gracefully when they must be feeling the pain of the cold. I wanted the painting to look a bit dreamlike, as though the dancers may be imagined rather than real.